One of the most important periods of motor development for children is between the ages of 9 and 12. This is a window of accelerated adaptation to motor coordination. Early specialization in hockey can be detrimental to later stages of skill development and to refinement of the fundamental sport skills. The three goals of this age group include refining basic skills, introduction to team tactics in a fun environment of learning. In Atom, children are developmentally ready to acquire the general sports skills that are the cornerstone of all athletic development. Hockey Canada recommends that players in the Learning to Train stage continue to focus on the development and refinement of individual skills and individual tactics. Other sports to further develop the ABC's of physical literacy (Agility, Balance and Coordination) are encouraged in the off-season. The intensity is gradually and progressively increased during training in order to meet the competition demands. Make the task more difficult (effort given, greater speed of execution). Continue to focus on the fundamental technical skills and the tactical application of these skills. 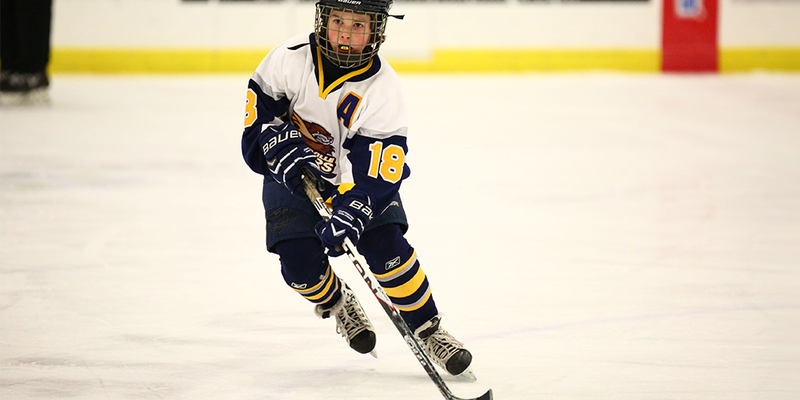 Develop endurance through games and relays on ice. The tactic/strategy is adapted to the age level and the background of the players and to the typical characteristics of the team. NCCP training in the Introduction to Competition Development Stream. This stream focuses on the development of coaching and teaching skills for the acquisition of skills and tactics as well as providing coaches with tools to develop physical and mental preparation skills in their players. Encourage your child to participate in a wide variety of physical activities. Strength training should be done solely with the players own body weight.